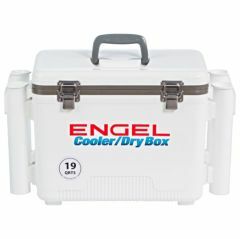 Engel 19 Qt. 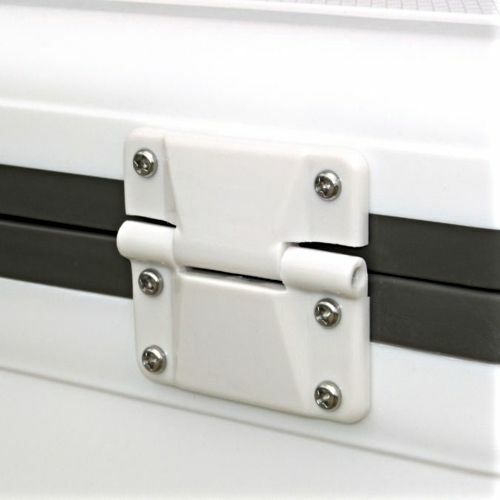 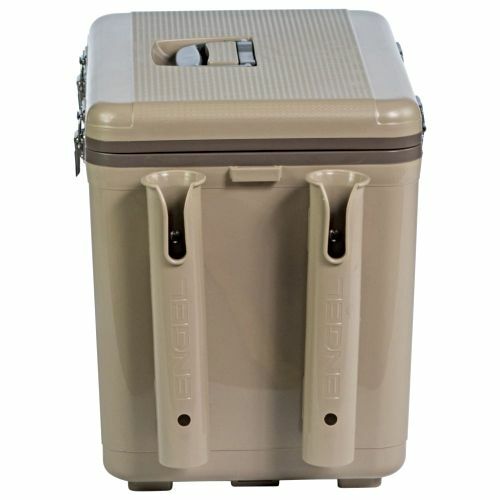 Cooler/Dry Box with Rod Holders make it easy for shore fishermen, anglers in kayaks and on paddleboards to manage rods and still keep their cool! For even the most expert angler, getting an armful of rods out to the water is beyond frustrating, especially when you’re carrying so much other gear. 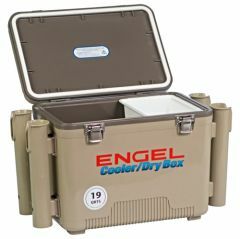 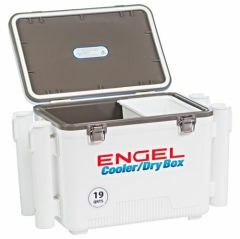 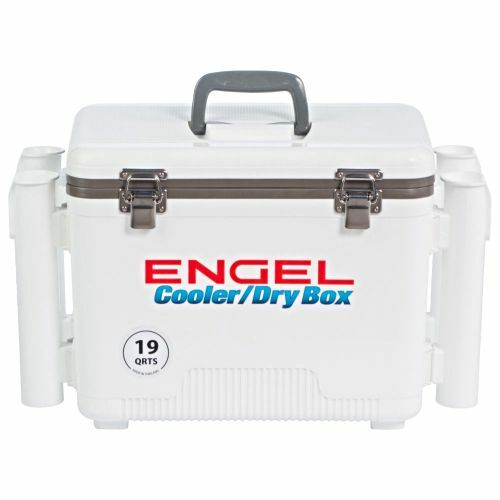 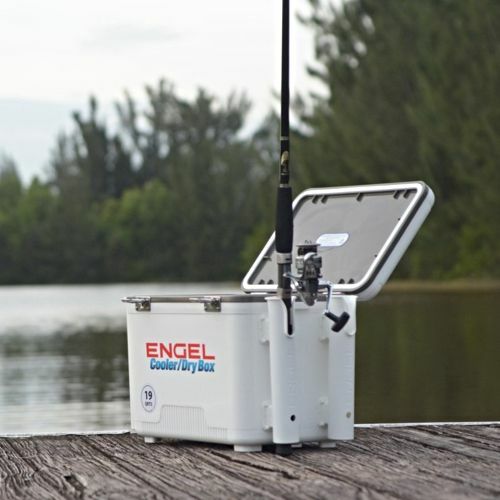 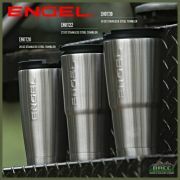 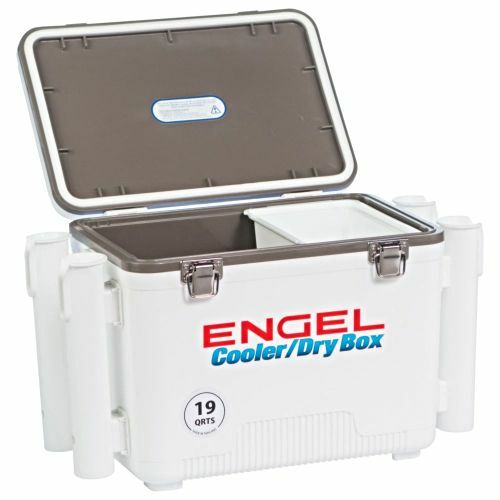 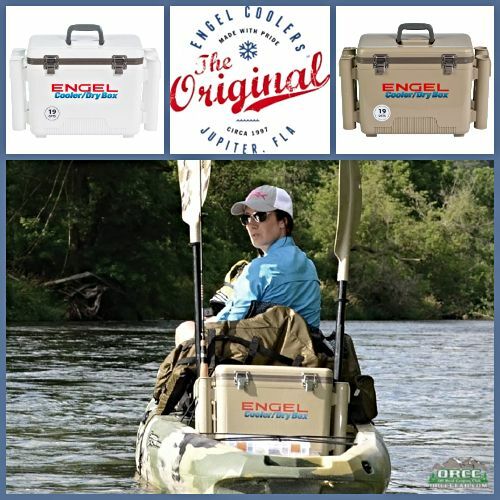 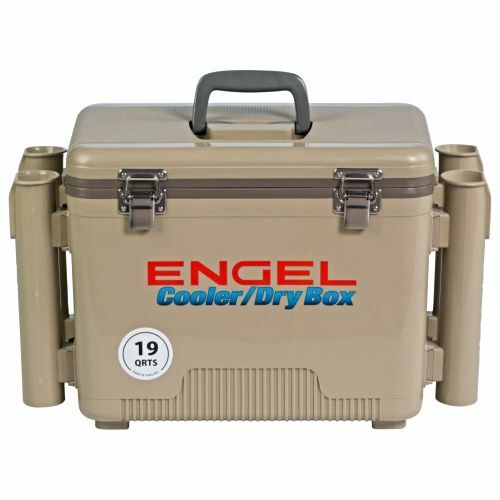 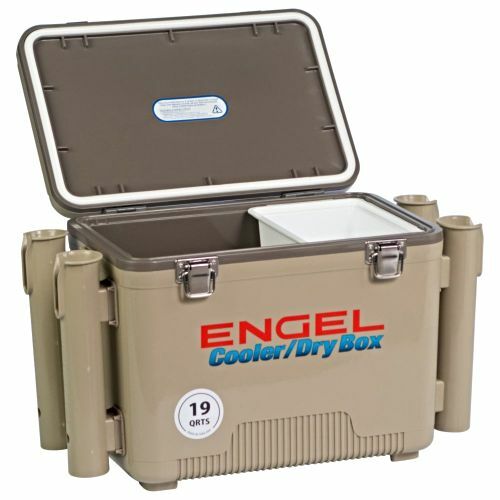 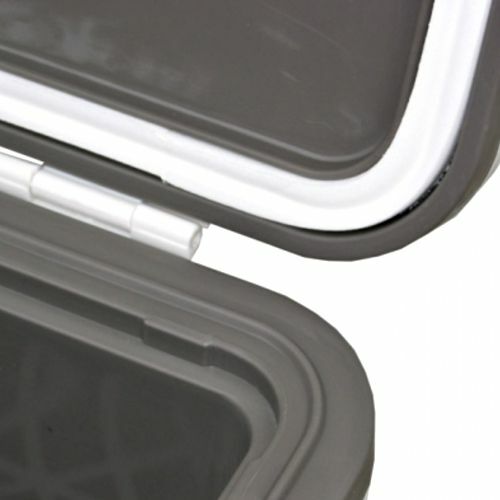 That’s why Engel created the Cooler/Dry Box with Rod Holders, a unique cooler with fishing rod attachments that holds your rods so you don’t have to! 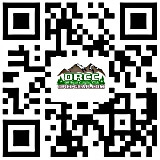 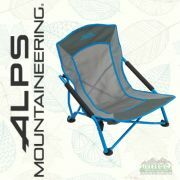 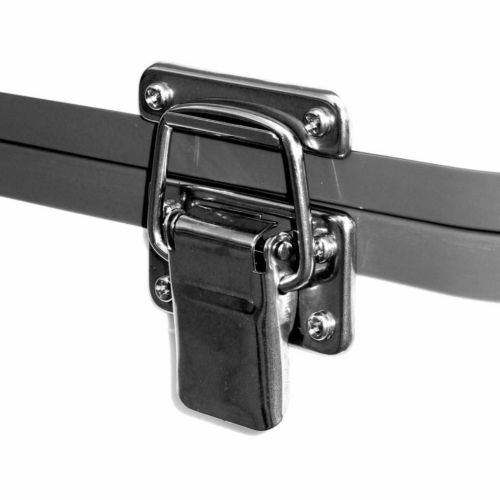 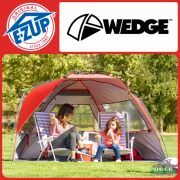 * Exterior Dimensions: 16.6" x 11" x 13"
* Interior Dimensions: 13.5" x 8" x 10"